It is not every day you get to experience the authenticity of Cambodian cuisine in Adelaide. Adelaide Food Central was kindly invited to experience the fragrant flavours of Sokha Phnom Penh restaurant. 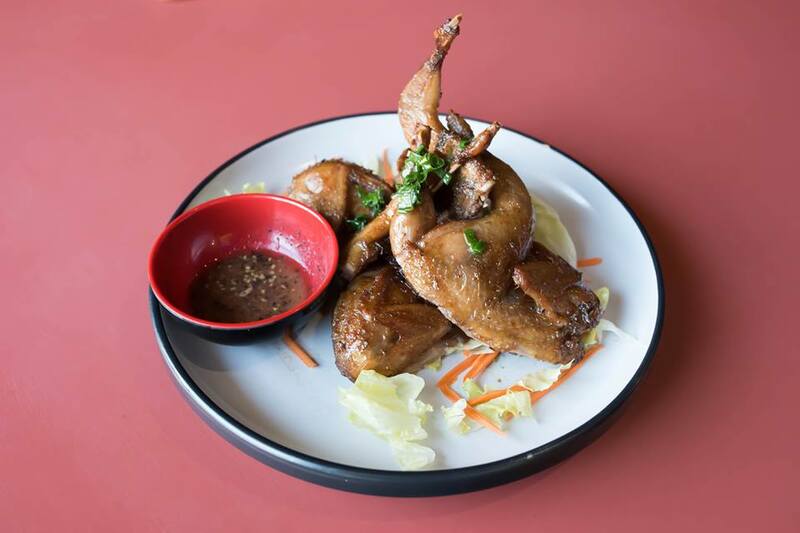 As traditional Cambodian cuisine is not commonly represented within Adelaide, this restaurant showcases the best of Cambodian cooking. 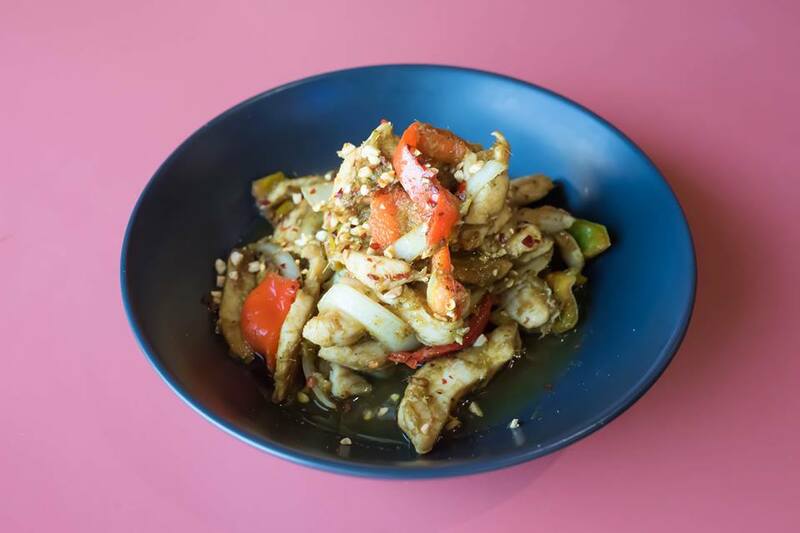 Although this location is not ideal and is very easy to miss, as it is located in a heavily industrialised area, this restaurant brings a different cultural cuisine to the Adelaide food scene. Husband and wife duo, Patty and Sohka (Kelly), opened the restaurant two and a half years ago after migrating from Cambodia. 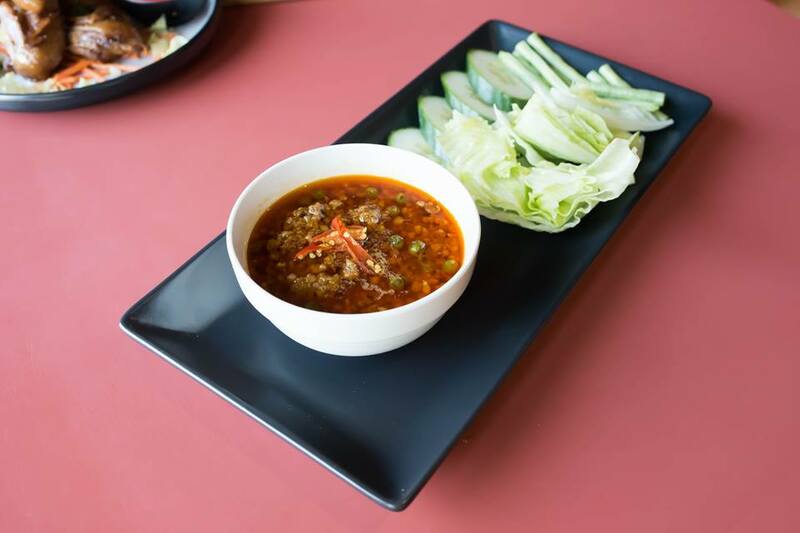 Sohka and Patty’s passion for Cambodian food and Patty’s hospitality background gave them the inspiration and drive to introduce their home style cooking of Cambodian treasures. We started off the evening with refreshments including a Cambodian Beer called Angkor and some cool iced tea. The beer was smooth and not too bitter which made for an easy drink. The ice tea, also sourced from Cambodia, was not too sweet which added to the authenticity. We were presented with 10 dishes in total, which we were told showcased the Cambodian traditional style of cooking. 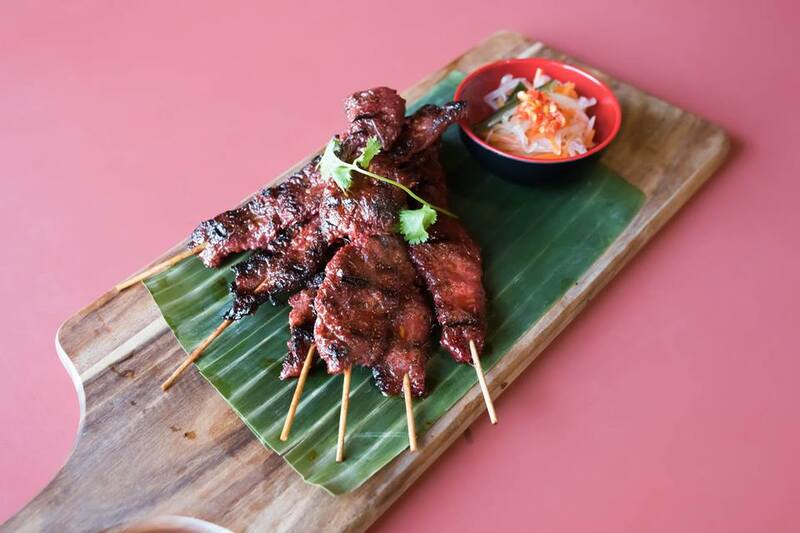 We started with the BBQ Beef Skewer’s, and whilst initially this dish did not seem foreign the strong infusion of lemongrass, the dark red coloured meat and the charcoal cooking method set this dish apart from the average beef skewers. The second dish of the evening was Sokha’s Bun’s; crispy roast pork, green papaya pickled, herb, caramelised onion with apple cider. The initial reaction towards this dish was that is resembled the Chinese Boa (a Chinese steamed bread roll with a filling of meat or vegetables). 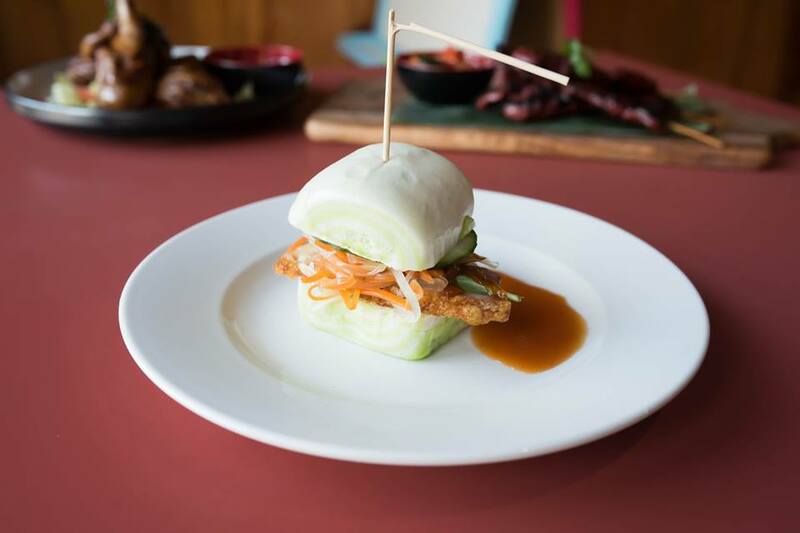 However the bun itself was a soft fluffy two-toned green and white style bun filled with a contrast of pork meat and crackling. The subtle herbs and green pickled papaya made for a delicious sweet and savoury contrast. We highly recommend trying this dish if you want something light yet fulfilling. Dish number three Spring Rolls. An all round favourite, they had a crisp overlay, minimal oil, and had a full flavoured filling of meat and vegetables. Next dish was the Marinated Quail, we found this dish to be very well cooked, and tender with subtle yet perfectly balanced sweeter flavours that enhanced the subtle gamey Quail. 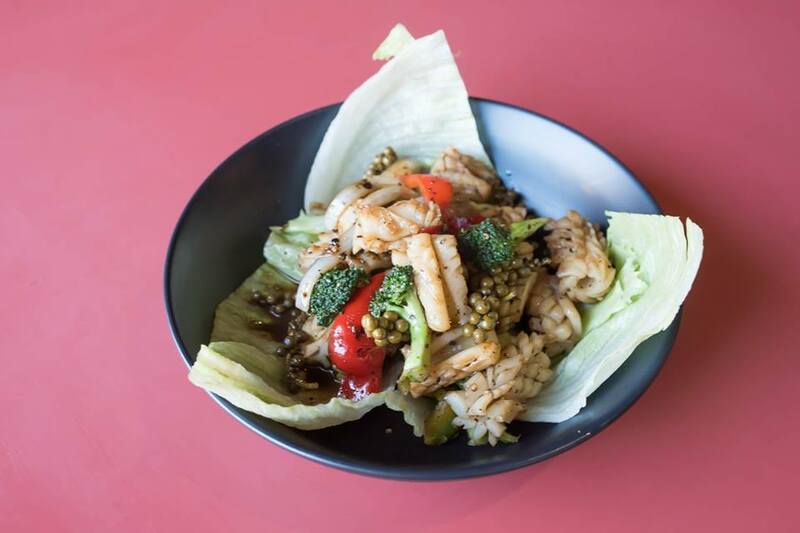 Char Kroeung; Stir fried chicken in home made lemongrass paste, topped with peanut hits you with a strong lemongrass flavour and a hint of spice. We found the texture of this dish to be quiet different to what you would usually expect from a chicken dish, as we would compare the way the chicken is cooked to a white fish. It was full of flavour and would be sure to satisfy anyone who enjoys Asian style chicken. Meuk Char Ma Ric Kajay; stir-fried squid with young peppercorn on a bed of lettuce. Whilst the squid was superbly cooked we found the pepper flavour to be a little overpowering. However after speaking to the owner and chef he explained to us the peppercorns and pepper were sourced from Cambodia, having a more intense flavour than what we would be used to in Australia. Stir Fried Mussels in tamarind sauce and basil. This dish was one of the standouts as it combined the exotic flavour of the tamarind, hints of lemongrass and mint with a superb cooking method. 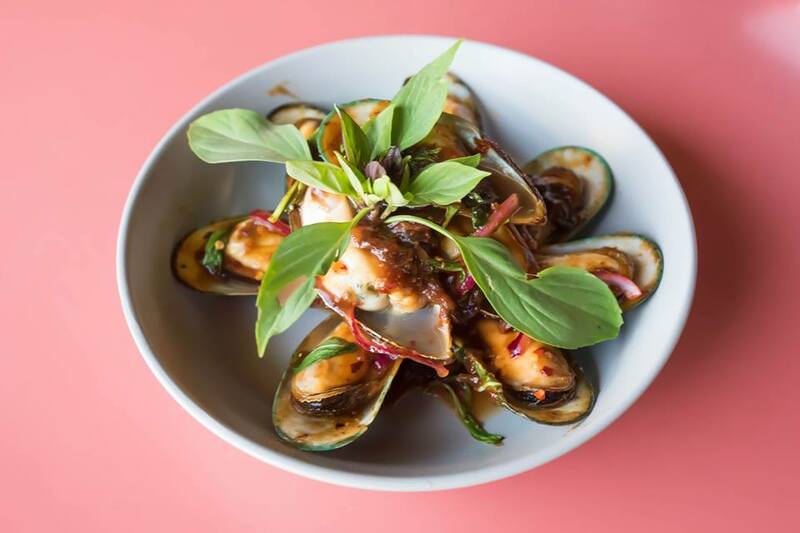 The tamarind being the standout spice making these mussels a dish we would highly recommend. Our top two favourite dishes were Amok Fish and Prohok Ktis, they really treated our taste buds to the beautiful Cambodian cuisine. 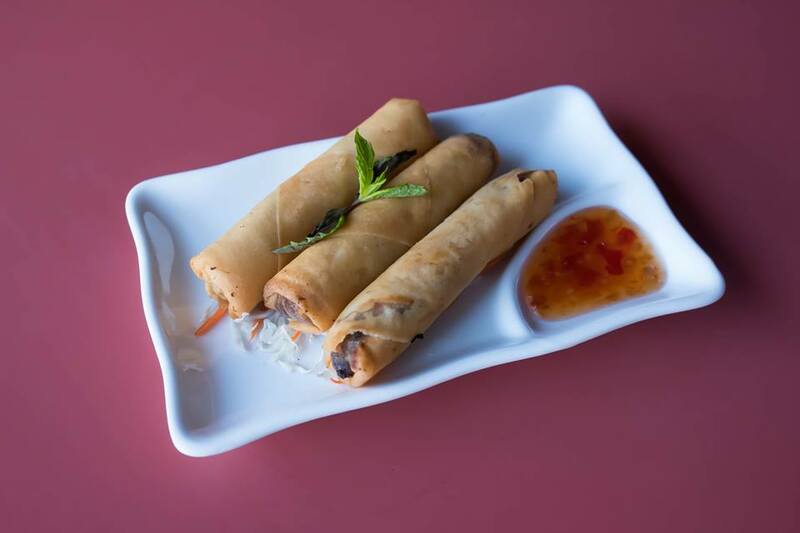 You most likely would not have tried dishes like this before, as they are tailored to the home-style Cambodian cooking style. If you are looking to try something different yet utterly amazing we highly recommend coming down to try these. The Amok Fish; lemongrass paste, coconut milk and vegetables is best described texturally and visually as a Cambodian style curry. It infuses a subtle coconut flavour with the restaurants homemade curry paste and a delicate hint of lemongrass. As the restaurant makes this curry paste from scratch the unique flavour is like no other. The fish was delightfully soft and as a freshwater fish was used the fishy flavour was not over bearing. Prohok Ktis served with fresh vegetables; ground pork, fermented fish, coconut milk and lemongrass paste. Whilst for some people the initial ingredients may seem daunting this is a truly authentic Cambodian dish. The initial taste is a little sweet, followed by a savoury meaty taste and then a subtle fermented fish taste that follows. 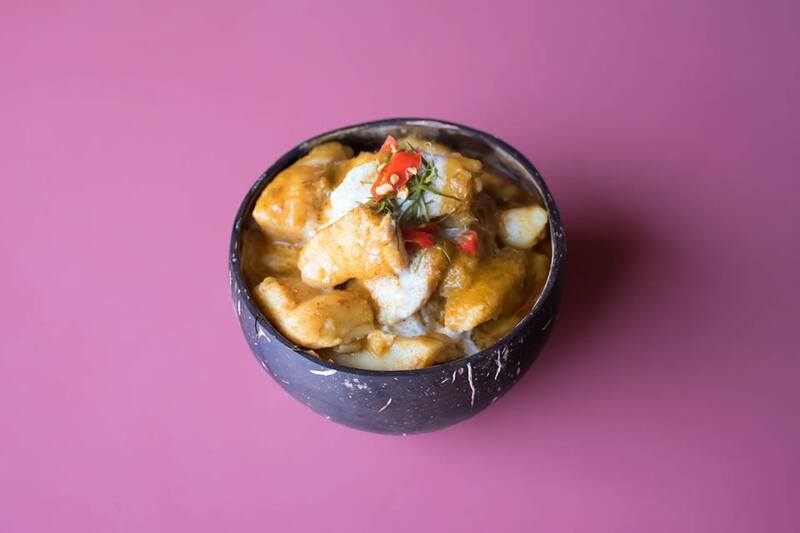 This dish can not be faulted as the balance of flavours is perfect, incorporating fermented fish into any dish has the possibility to be overpowering however this is not the case for this Cambodian dish. It is truly a tantalising taste experience like no other. This is the dish to come and try if you want to sample the authentic cuisine of Cambodia. Black Sticky Rice with duck egg and palm sugar custard, what an amazing sweet dessert to end with. Every mouth full was extremely delightful and the thing we loved the most about this dish was that it was not too sweet. 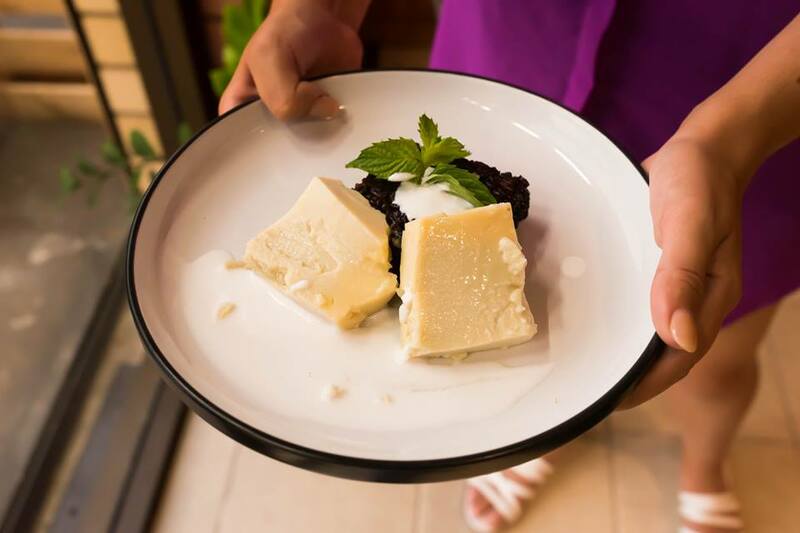 The black sticky rice made for great texture and contrast to the soft custard. Overall we find it hard to fault Sokha Phnom Penh restaurant. Patty and Sohka have done an incredible job to provide fantastic service and bring a little bit of their culture and their traditional Cambodian cuisine to Adelaide. With an extremely well priced menu and generous serving sizes this place is perfect to dine anytime of the week and on every budget. We are sure that whatever you order you will not be disappointed. Sokha Phnom Pehn is open everyday from 10am-9pm except Tuesday. We would love to thank Patty and Sokha for their kind hospitality and we highly recommend you try their amazing Cambodian restaurant.